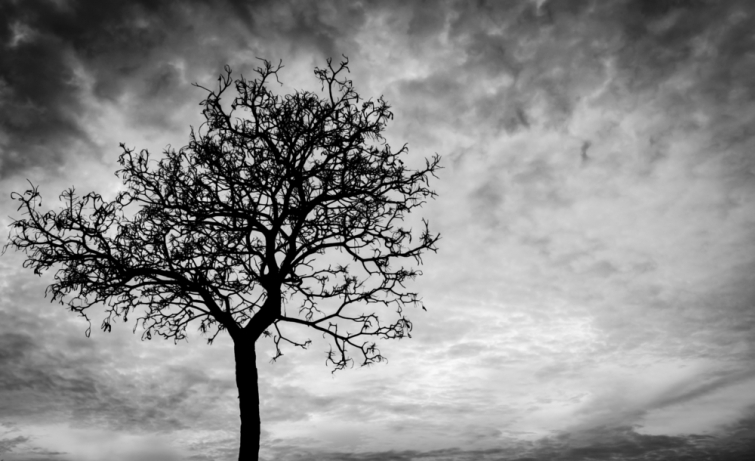 In a recent article that was published on churchleaders.com, senior editor Al Hsu from IVP Books talked about living in the aftermath of suicide. Take some time to read this interesting article below! More than 42,000 people die by suicide every year in the U.S., and each one leaves behind on average six to ten survivors-–spouses, parents, children, other family and friends who are devastated by the loss. That’s hundreds of thousands of people every year who are grieving this kind of death. And yet most of us typically feel isolated and alone in grappling with the reality of it all. Those of us who have lost a loved one to suicide need to know that we are not alone in this loss. Most of us experience survivor’s guilt and blame ourselves for our loved one’s death. We think, “I should have seen it coming” or “I should have done something to prevent this.” As I interviewed other survivors, one of the main themes they wanted to communicate to other survivors is this: It’s not your fault. While we may always wonder if we could have done more to prevent the suicide, ultimately the choice was not ours. Our loved ones made the decision to do this, and survivor’s guilt should not keep hold over us indefinitely. I lost my father to suicide; he was 58. I come from an Asian-American cultural context where people don’t talk about things like depression or suicide because they’re seen as shameful, and we don’t want to bring further shame to the family. It took some months and years to have experienced enough healing to share what had happened. I talked with my mother and asked her if it would be okay for me to write publicly about my dad’s death. She gave me her blessing and said that my dad always kept things bottled up inside, so she was glad that I was able to explore and express my grief more openly. For the most part, the church was helpful and comforting. Even if people didn’t know what to do or say, they were present with us in our grief and helped out with practical needs. The pastor who conducted my father’s funeral was very sensitive in how he interacted with us. His sermon framed things in terms of depression being a battle that people fight against themselves, which was a helpful metaphor for understanding the realities of mental illness. What was hurtful were some of the well-intentioned but painful comments that people said, clichés like “God doesn’t give us anything we can’t handle” or “What doesn’t kill you makes you stronger.” Even if there’s some truth to these kinds of sayings, it usually comes across as a pat answer rather than true empathy or comfort. In the immediacy of my grief, I didn’t want to hear anything about God’s secret plans to turn all this for good. I needed to mourn and cry, and for the church to mourn with those who mourn. Because churches care about their members’ emotional and spiritual health, churches have an opportunity to walk with those who struggle, and to support their loved ones and family members. Churches can provide soul care and minister to a whole range of spiritual and emotional issues. In general, churches have not always had a great track record in knowing what to do for those with mental illness, but awareness seems to have improved in recent years. While no church can do everything, most churches can do at least a few things, from modeling transparency from the pulpit to providing support groups or small groups for particular areas. Losing my father to suicide has made me more aware of the realities of mental illness, and more sensitive to the fact that all of us face challenges and struggles of many kinds. It has helped me recognize the preciousness of all life and that this life is worth living. While my personality temperament tends to avoid suffering and pain, I’ve learned to acknowledge the realities of pain and loss, and to be present with others in their various kinds of suffering. As a parent, I am more aware of the fragility of life. My younger son has Down syndrome and autism and experiences significant sensory issues and social anxiety. His developmental disabilities and behavioral challenges can be overwhelming at times, but I have learned to be more present with him in the midst of those challenges and to value him even when it’s hard. Overall, I find myself all the more grateful for my family and relationships and no longer take anything or anyone for granted. Some Christians have a tendency to overspiritualize everything, to assume that every issue has a spiritual solution or that every problem is the result of sin or demonic activity. But someone who is struggling may not need to repent of some mysterious sin as much as they need to take antidepressants. Medicine and counseling are not antithetical to Christian ministry; a better understanding of neuroscience and brain chemistry can help us minister more effectively to one another. Don’t be afraid of raising the topic with someone who appears to be at risk. While people who are depressed or struggling with suicidal ideation may want to die, in most cases part of them also desperately wants to live. I highly recommend Karen Mason’s book Preventing Suicide, which provides suggestions for how pastors and church leaders can teach and preach on mental health issues and provide emotional and spiritual hope for their parishioners. This world is desperately broken, and so many today struggle with depression and mental illness. But Christians have hope that death does not have the final word. In Christ, God has overcome the power of death and is making all things new, where people no longer struggle and every tear will be wiped away.